Biofinity Multifocal contact lenses are designed to correct presbyopia. They are made to ensure sharp vision at all distances and are also suitable for extended wear for up to seven days and six nights. TopVue Air Multifocal are silicone-hydrogel contact lenses intended to correct presbyopia. Their unique technology ensures clear vision at all distances. Their high oxygen permeability and water content keep your eyes moist and comfortable all day. Biofinity Multifocal contact lenses are produced by CooperVision and have a monthly replacement schedule. These lenses are intended to correct vision problems associated with presbyopia. 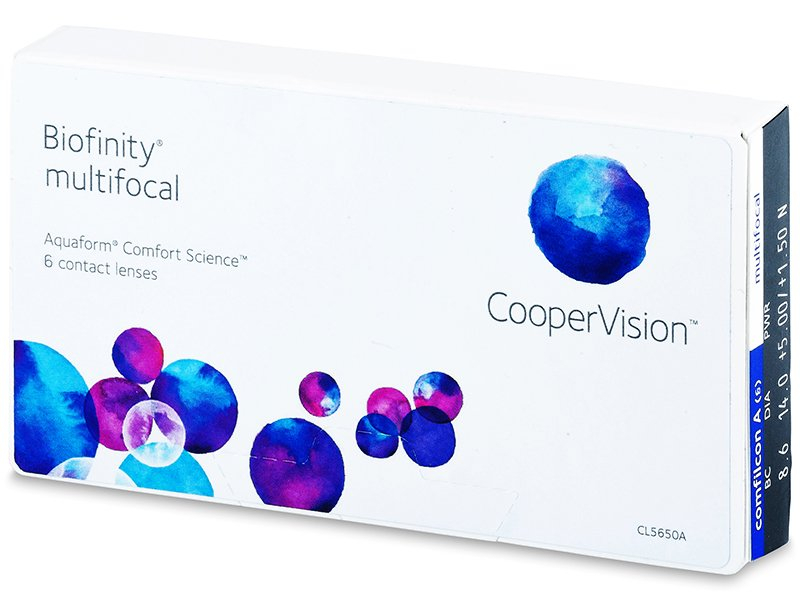 Biofinity Multifocal are also suitable for extended wear for up to seven days and six nights, but this method of wear must be approved by your optometrist. This package contains six lenses. Read more about Biofinity Multifocal contacts. So convenient that I can wear these overnight. 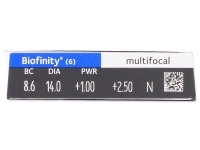 Is it possible to special order the Biofinity Multifocal diameter 14.2? It's on my prescrip, and I don't know if it will make any difference to my eye site? Dear Devendra, the Biofinity Multifocal parameters for diameter are standard and cannot be changed. Most wearers will not notice a difference of 0.2mm or less, however, if this concerns you, it is always advised to consult with your optician before ordering. what should be my biofinity multifocal add if i have only MED on my prescrip? Hello Adam, in Biofinity Multifocal parameters, MED is usually add power +2.00. You may wish to consult with your optician to be sure it's right for you. My optician told me the Biofinity multifocal design is something special. 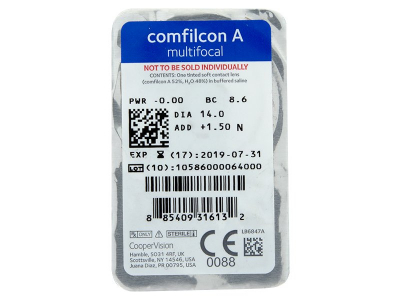 Is it better, or more comfortable than other multifocals? Would like more info before I order please. Dear Kareem, the Biofinity Multifocal material is made from their patented Aquaform technology. This technology helps the lenses retain as much moisture as possible, to prevent feelings of dryness after prolonged wear. Other multifocals have similar moisture technologies, but Biofinity lenses have a high water content as well as a high level of oxygen permeability. Excellent price and prompt delivery service. Very comfortable, even for sports and outdoor activities. Definitely the best bifocal lenses I've tried. I was a bit skeptical as you're so much cheaper than my usual shop, but I'm satisfied with the quality of the lenses and the service. I have quite dry eyes and work in an office which doesn't really help. With Biofinity it's more bearable than with other lenses. 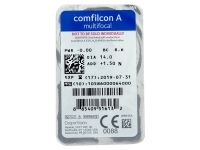 As for lenses-contacts, speedy delivery and excellent service. Thankyou. Hi, Andrew, Please contact our customer service department!